Your kids will enjoy watching this car cartoon made for boys and girls! 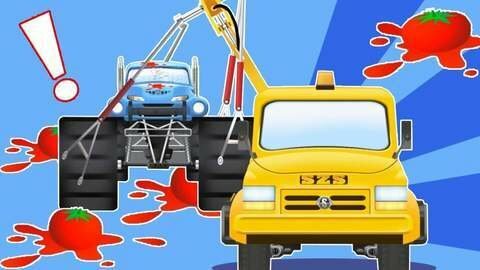 Red tractor is pulling a trailer full of tomatoes, but what happens when he collides with blue monster truck? Good thing yellow tow truck can help. Enjoy more free and funny HD car cartoons at SeeZisKids.